Stalking: Recognizing and Responding is a new 1-hour online continuing education (CE) course that examines the prevalence of stalking and provides therapists with the means to identify and assist victims/survivors. Stalking is a crime that is far more prevalent and more dangerous than most people realize. It is a crime that is not well understood and that often goes unrecognized. 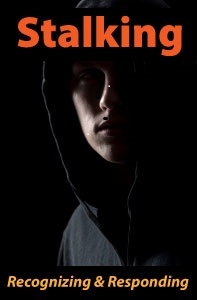 Findings from various studies examining the prevalence of stalking suggest that community-based interventions are critical to raising awareness about this crime and promoting prevention efforts. 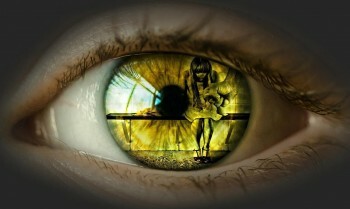 Mental health professionals have an important role in identifying and treating victims/survivors of stalking through educating themselves about this crime. Researchers have found that stalking victims have a higher incidence of mental disorders and comorbid illnesses compared with the general population, with the most robust associations identified between stalking victimization, major depressive disorder, and panic disorder. Additionally, intimate partner stalking has been identified as a common form of IPV experienced by women veterans that strongly contributes to their risk for probable PTSD. These findings indicate that it is important to assess for these symptoms and diagnoses when working with victims/survivors of stalking. Spiritual Care Handbook on PTSD/TBI is a new 3-hour online CEU course that provides best practices for the provision of spiritual care to persons with post traumatic stress disorder and traumatic brain injury. With the wars in the Persian Gulf, Afghanistan, and Iraq, a new generation of military veterans has arrived home, requiring appropriate and sensitive pastoral care. This course is based on a handbook written for the Department of the Navy by The Rev. Brian Hughes and The Rev. 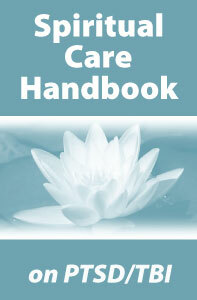 George Handzo, entitled Spiritual Care Handbook on PTSD/TBI: The Handbook on Best Practices for the Provision of Spiritual Care to Persons with Post Traumatic Stress Disorder and Traumatic Brain Injury. 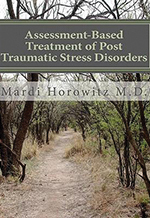 This manual begins by describing the criteria for posttraumatic stress disorder and traumatic brain injury. The handbook goes on to outline a theory of recovery, to describe the general stance of the pastoral counselor, and to provide guidelines for sensitivity to differences in religion, culture, and gender. It has gone by many names: battle fatigue, shell shock, soldier’s heart. Most recently it has been called post-traumatic stress disorder. But as the number of identified cases of post-traumatic stress has skyrocketed among soldiers, returned veterans and first-responders — police officers, firefighters, paramedics, etc. — it may soon undergo another name change. The hope is that the name change will remove a perceived stigma that may be keeping PTS suffers away from the help they need. Post-traumatic stress refers to the intense and potentially crippling symptoms that some people experience after a traumatic event, such as combat or horrific crimes. The symptoms can include flashbacks, isolation, hyperarousal and rage. The idea of a name change was initially promoted by the Army, particularly Gen. Peter Chiarelli, who until his retirement in February led the military’s effort to reduce a record-high suicide rate among the troops. “No 19-year-old kid wants to be told he’s got a disorder,” Chiarelli told APA members and news reporters. 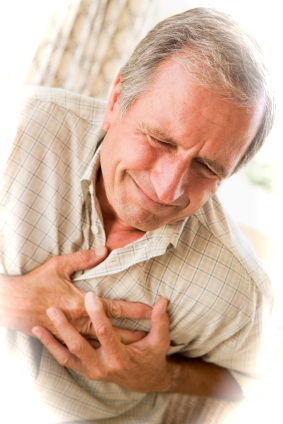 An “injury” may be perceived as more treatable and combat-related. The hope is that active-duty soldiers experiencing PTS will reach out for help and their superiors will be more supportive. The military has good reason for concern about what PTS is called and efforts to provide help to sufferers. According to recent reports, 1 in 6 soldiers is reporting anxiety, depression or symptoms of PTS. With the total number of soldiers having served in Iraq or Afghanistan now numbering about 1 million, an estimated 100,000 soldiers are expected to require long-term mental health care. And as these numbers continue to grow, concern is being expressed not just about what to call PTS, but how to treat it. This spring, the Army surgeon general’s office issued a warning to regional medical commanders about the long-standing use of prescription psychotropic drugs to treat PTS. An April policy memo warned that some of the drugs — or “cocktails” of drugs — could intensify, rather than reduce combat stress symptoms and lead to addiction. A July 2010 Army report noted that one-third of all active-duty military suicides involved prescription drugs. Combined with alcohol abuse, the long-standing protocol for treating PTS could be lethal. This is not to say that commonly used psychotropic drugs, in conjunction with counseling and therapy, should be abandoned. But what is needed — and what is now being recognized by military officials — is the combination of a variety of treatments. Some of treatments that were once dismissed as “unproven alternatives” are now being embraced. For example, I use neurofeedback to treat veterans at Neurofeedback Train Your Brain in Bakersfield. Neurofeedback is training in brain function based on information derived from an electroencephalogram (EEG). The process can bring fairly rapid improvements in sleep problems, pain, anger management and substance dependency. The Veterans Administration is spending about $5 million on a dozen clinical trials and demonstration studies of three meditation techniques to help veterans manage stress and depression. Other “alternative” treatments include acupuncture, yoga and therapy dogs. A unique, local pilot project that is being conducted under the auspices of Kern County Rotary is an example of what can be accomplished when a need is recognized and addressed. The Rotary Clubs’ Kern Post Traumatic Stress Assistance project (www.kernptsa.org) provides education, resources, treatment options, community outreach, fundraising and support to veterans and first responders and their families in Kern County. The project is the first step in a global movement of Rotary International to provide resources and support to individuals and families suffering from PTS. On the project’s website are listings for support groups, government agencies and treatment providers, such as Neurofeedback Train Your Brain. The good news is that PTS finally is receiving the level of attention that the disorder (or injury) and its sufferers deserve. It is bringing together government agencies, community groups and mental health care providers in a campaign to honor soldiers, veterans and first responders by giving them the help they deserve. Kimberly Smith of Bakersfield is the neurofeedback clinician at Neurofeedback Train Your Brain (www.kerntyb.com). What’s the Link Between PTSD, TBI and Violence? Editor’s note: Dr. Charles Raison, CNNhealth’s mental health expert, is an associate professor of psychiatry at the University of Arizona in Tucson. He has not personally examined the suspect in the Afghanistan mass shootings, Robert Bales, but has used news accounts as the basis for his views. (CNN) — Q: Sgt. Robert Bales has been accused of killing 16 Afghan civilians. He served three tours in Iraq before this and his lawyer says he may have been suffering from post-traumatic stress disorder or a traumatic brain injury. What’s the link between violence and those disorders? A: Psychiatrists understand some types of aberrant behavior pretty well and can do things to help resolve it. But, unfortunately, in other instances — and often the most interesting ones — we can only mumble generalities that require no special expertise and that offer no hope for a diagnosis or treatment. Staff Sgt. 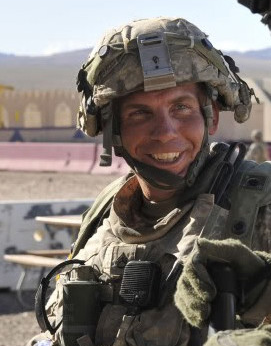 Robert Bales has been identified as the soldier accused of killing 16 civilians in Afghanistan. Take the case of U.S. Army Sgt. Robert Bales, accused of massacring 16 Afghan men, women and children while they slept unprotected in their village. The first thing a psychiatrist would want to know is whether the person who committed such a heinous act was psychotic at that time, meaning out of touch with agreed-upon human reality. Did he perform the killings as a result of deeply held false beliefs or in response to hearing voices commanding him to act? If yes, then although the tragedy remains, the psychiatric mystery is solved. But at this point, although Bales has reportedly told his lawyer he remembers nothing about the night of the massacre, there is no evidence he was psychotic immediately before the killing spree. Nor do we have any evidence at this point that the killings were motivated by some larger political purpose, which might also explain, but certainly not justify, them. So why would someone who had appeared normal to everyone around him suddenly commit such a hideous act? Much has been made in the media about the fact that Bales was on his fourth deployment. Moreover, he had suffered mild traumatic brain injury in Iraq. Traumatic brain injury can cause a wide range of mental difficulties, from poor decision making and memory to increases in impulsive behavior, irritability, depression and personality change. So how likely is it that Bales’ traumatic brain injury explains the accusation that he massacred 16 Afghan villagers? The answer is: not very likely. Why? Consider, as alternative possible explanation, mania. Mania is often characterized by the sudden onset of bizarre, agitated behavior in public and it is not necessarily related to traumatic brain injury. Traumatic brain injury almost never causes otherwise solid citizens to ruthlessly massacre men, women and children. Thousands upon thousands of people develop severe manic episodes every year. Thousands upon thousands of service men and women have been multiply deployed and have suffered various levels of traumatic brain injury, and yet there is only one Bales. That is why it doesn’t fit very well. Mass murder is just about as rare in people with brain damage as in people without brain damage. Note that I said “just about.” In fact, organic brain damage can be a cause of mass violence. Probably the most classic example of this in American history was the case of Charles Whitman, who went on a shooting spree from atop the University of Texas tower that resulted in the death of 16 people. Although he was under multiple stressors at the time of the incident, he was found to have a brain tumor in the “rage area” of his brain (i.e. the amygdala) upon autopsy. In the case of Bales, if he is guilty of the massacre, his actions may eventually be found to be related to a clearly causative organic factor. But my clinical experience tells me not to bet on this. It happens, but pretty rarely. When people behave in unexpected ways for no good reason, it often turns out that when the full story of their lives is understood, the behavior no longer appears as unexpected. That which is neither clearly linked to either a medical or psychiatric illness is very likely intertwined in a person’s longstanding personality. So, I suspect that if 100 psychiatrists were told that a previously normal service person massacred 16 civilians and was neither medically impaired nor psychotic, the majority of them would immediately suspect that the person in question might not have been as normal across his life as initial reports suggested. In fact, as more comes out about Bales this appears to be the case. It now appears that he was involved in fraudulent business dealings. What makes the case so strange, however, are the multiple contrasting reports of his remarkably caring and selfless behavior on numerous occasions and his status as something of a small town hero. I seem to end many of my CNNhealth pieces with some type of comment about how unsatisfying our current level of psychiatric understanding is. This pieces, alas, is no different in this regard. Frankly, at this point nothing in Bales’ actions makes psychiatric sense. On the other hand, how many highly admired, hard-working, patriotic, caring small-town heroes are embroiled in financial fraud or may have other dark behaviors in their backgrounds? Maybe the fact that Bales himself may not make sense is the best place for us to start in our understanding of the horrible events in Afghanistan. If you are involved with someone who seems to be stubbornly clinging to a painful memory, there’s a right way and a wrong way to help them. New 1-Hour Test Only Course! Click on image to view course details! This is a test only course (book not included). The book (or e-book) can be purchased from Amazon. Mardi John Horowitz, MD, is a Distinguished Professor of Psychiatry at the University of California at San Francisco, President of the San Francisco Center for Psychoanalysis and Past President of the Society for Psychotherapy Research. He has written several books on the topics of psychotherapy stress reactions, as well as recent popular books on happiness and grief. Professional Development Resources – http://www.pdresources.org [PDResources] – a nationally accredited provider of continuing education in psychology, social work, counseling, marriage and family therapy, and occupational therapy – has announced the release of a new continuing education course addressing the specialized skills needed in counseling military families. Jacksonville, Florida – December 1, 2009 — Professional Development Resources, has released a new home study continuing education (CE) course intended to give the psychologist, social worker, counselor, and family therapist the tools they need to offer counseling services to military families. Military families face many challenges and trials because of the unpredictable and often difficult lives they lead. Many civilians – including mental health professionals – are not familiar with the unique lifestyle and stressors faced by these families. Consider that – even in peacetime – military families have to cope with the pressures of a very demanding way of life: an authoritarian system with its lack of autonomy and limited privacy, financial stresses, tours of duty that separate parents and children for extended periods of time, frequent uprooting and moves, and the ever-present possibility of injury or death. Wartime is a thousand times more difficult. The list of perils such as injury, brain trauma, loss of limbs, and posttraumatic stress disorder (PTSD) is nearly endless. And, of course, death is an ongoing nightmare for service personnel and their families. In addition, many military families are comprised of people who are very young, and therefore inexperienced in dealing successfully with such challenging problems. This CE course, Counseling Military Families, is unique in two regards. First, the author sets out the major mental health challenges faced by military families, drawing from 20 years of clinical experience and research. Second, she gives readers a clear understanding of the concept of ‘military as a culture,’ meaning the shared experiences, attitudes and perspectives that are endowed by years of military existence. To therapists who have not lived in that culture, this knowledge is a prerequisite to doing effective therapy with military families. Early chapters are devoted to the unique circumstances of career service personnel and their spouses and children, delving into topics like the male psyche that dominates military history and culture, the constant relocations and deployment of the service member, complications for spouses, and situations faced by children who grow up in a military family. The final section presents treatment models and targeted interventions tailored for dealing with issues of change, grief, and loss. The company also offers a series of new courses on posttraumatic stress disorder (PTSD) – all of which are available instantly online and can be completed any time and anywhere.